Although winter weight gain varies from person to person, research shows the average gain to be five to seven pounds. 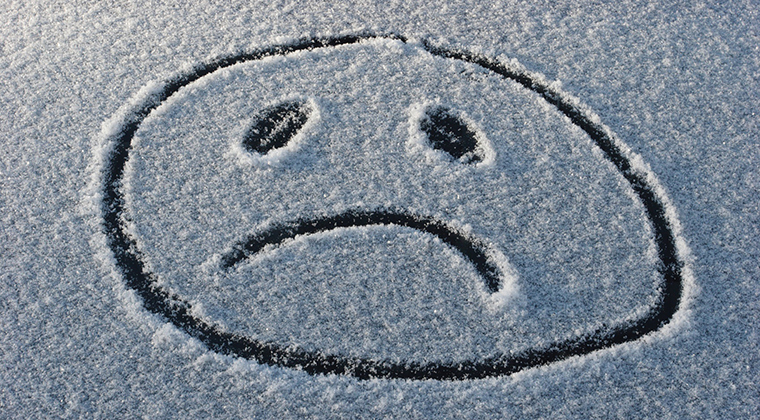 Some people gain this extra weight because they have Seasonal Affective Disorder—a type of winter depression. But most of us can’t blame winter depression for our tendency to pick up extra weight during the winter months. But it is good news because we can do something about it. We don’t have to greet spring with softer middles and tighter clothes. So let’s celebrate leap year by tackling winter weight gain with our weapon of choice here at AboveFit Training: discipline. In order to fight winter weight gain, we have to discipline ourselves to follow some rules. 3. Keep moving. Exercise is not an optional activity. Now more than ever you have to get your body in motion. Exercise is very effective at preventing weight gain—and that is what we’re after right now. Don’t even worry so much about losing pounds; just work to keep the winter scale-creep from happening to you. Try to get some cardio in at least 3-4 days a week. It can be difficult and frustrating to maintain motivation during the winter months. However, with a strategy and some discipline you will be able to stay ahead and on track towards your health an fitness goals not matter what the weather is like outside. If you are interested in learning more about avoiding winter weight gain or simply want to live a healthier lifestyle, contact us at AboveFit Training and schedule a free strategy call with one of our expert coaches, specializing in a personalized and holistic approach to health and fitness.